These past few weeks have been both traumatic and sobering with the high profile terrorist related major incidents that have occurred in London and Manchester. Quite rightly there has been a lot of positive press and social media attention on the role of the emergency services in each of these incidents. BASICS members have been involved and in some instances, there has been a level of publicity, but largely their role is not seen outside of their emergency service colleagues. This is the way we work and all too often our role is subsumed into the wider work of the ambulance service. Whilst for many this is how we prefer to work this approach does limit our reach and in today’s world threatens our ongoing relevance. As we reflect on our 40th birthday we must consider the impact BASICS has had it continues to have and our role and that of our members is hugely important. Often though, members approached to advise, consult and take leadership wear many hats, being a BASICS doctor, nurse or paramedic is somehow an intrinsic yet camouflaged part of us. In reality, it is a major part of our identity that shapes all other professional personas that we wear. In many of the roles in which our members excel it is their voluntary BASICS role and experience that sets them apart and identifies them to others particularly with regard to their wider activities and involvements. There is a relatively simple ‘quick fix’ to this. I would like to suggest that every one of us considers adding the BASICS logo after their email signature alongside their Scheme logo where applicable. To this end a logo to match your needs is now available on the website. Simply import it at the end of your signature. For those of you publishing in journals etc., particularly where the topic is around pre-hospital issues include your BASICS Scheme membership as a legitimate affiliation. Similarly for those invited to serve on committees etc., do the same. Only if each one of us highlights our involvement will others recognise the ongoing and far-reaching contribution to society made by BASICS, its members and our Schemes. Don’t forget to wear the badge! We have car stickers, sew on badges, pin badges, clothing and epaulettes (for our full members be they a nurse, paramedic or doctor). Visit our online shop to see the full range, alternatively come prepared to buy at the October conference. The Executive Council is currently engaged in a very significant and highly focused piece of work to which all are contributing. Having been around for 40-years BASICS is in danger of indulging in a little too much metaphoric ‘dad dancing’ and suffering the jibes of the ‘young ones’! In short we need to sharpen our image, take some exercise and refocus for the next 40-years. The pre-hospital stage has been reset and different parts are seeking their own identity for many good reasons. Our traditions and past accomplishments are something to be proud of but they are not sufficient to rest our laurels upon. The ethos of BASICS as formed in 1977 remains but has become more defined, specialised in some cases and even a political footstool. Today, immediate care is practiced widely and together our communities are safer and more resilient because of all the different contributions. As we have seen in the past few weeks no one contributor, whether statutory, voluntary or passer-by can meet all of the needs. Integration is key, consensus only works when all parties are singing from the same hymn sheet. BASICS has a vital role to play in this respect, our members represent all of the different provider groups. 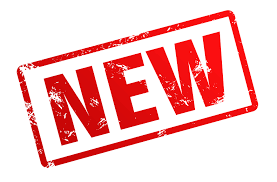 As the strategy work continues to develop it is very clear that the work Ken Eaton et al set out to do may have been completed however, BASICS now has a new purpose. This vision is now more refined, and as well continuing to support our schemes it now takes on a greater breadth of pre-hospital care providers. Read on to find out more, consider getting involved and see you at in Solihull in October? 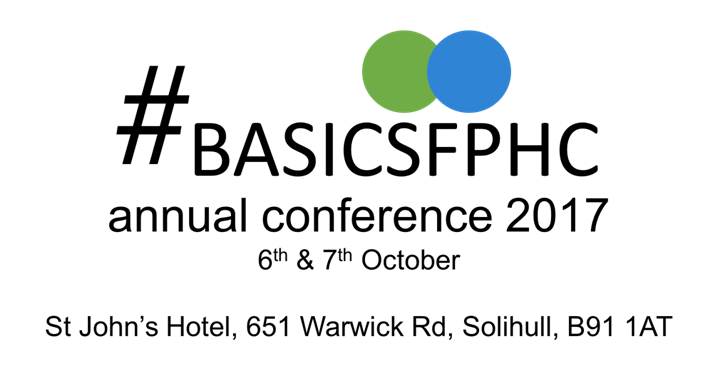 The conference planning is now well advanced and full details are available on the BASICS website. There are not insignificant discounts for all members of BASICS and this year those booking for the full conference package will receive a complimentary invitation to the BASICS Annual Dinner which celebrates our 40th Anniversary. Do come, it’s a great event that receives very positive feedback from past attendees and is excellent value for money – where else will you get a premier two-day conference package including 4-star accommodation and a conference dinner for £260? Book now for the early bird rates. A sample programme is available to view via this link. Every year at our Annual Dinner we recognise the efforts and achievements of our members, staff and those who support our aims. If you know someone who has gone that extra mile, who has achieved tremendous things or simply been around forever, quietly working in the background to the benefit of BASICS locally, regionally or nationally then why not nominate them for an award. Use the form on our website to make the nomination, anyone can nominate someone, it’s easy and convenient. The review started last December and has moved on at a good pace with the engagement of the Executive Committee including all the Trustees. Initially a discussion document helped to identify the major work streams that needed consideration. This was followed by two round table discussions with key themes emerging to take forward. Different perspectives and the past work undertaken in mid 2016 gathering thoughts of the membership helped to inform this process. In May the Executive Committee held a very well attended strategy day that was facilitated on our behalf by Tim Sims and Lia Chelminiak of Fiona Reed Associates who generously donated their time. Under their facilitation the strategy was reformulated and with the help of multiple flipcharts, small group discussions and lots of discussion a clear outline emerged. The full Executive Council are now engaged in further defining four themes that will be foundational to BASICS as it moves into its fifth decade. The work will be completed by the Annual General Meeting and will refocus and reinvigorate BASICS to the benefit of our members, our Schemes and the wider community of pre-hospital Immediate Care providers. Do watch this space as the outcomes emerge and we move from ‘grand ideas’ to concrete plans. Our headquarters is based in Ipswich and like all small charities we are only as good as those who work for us whether paid or voluntarily. Unfortunately the last month has seen our Chief Executive Phill Browne move on to pastures new after 4-years with us. In this time Phill became a familiar face representing us at a number of exhibitions. Coming to us from the pharmaceutical industry Phill brought new insights and worked with Tracy and most recently Nancy in the office to keep us on an even keel. We wish Phill well in his new endeavours. Tracy has taken on the role of overseeing the office in the interim as well as managing all BASICS course arrangements. She is supported by Nancy who looks after the day to day issues of the Association including the oversight of the conference organisation. Working as a volunteer in the office Beryl assists both Tracy and Nancy in a range of tasks that assist in the smooth running of BASICS. Have you thought about becoming a Trustee of BASICS? It is a great way to shape immediate Care in the UK and to bring your expertise and insights to the table. Drop us a line so that we can arrange a mutually convenient time to chat so that you can find out more. As an overview you’d be committing yourself to 4-meetings annually normally held on a Saturday in the Midlands area, we do reimburse expenses. We would encourage you to come to our conference and the Annual General Meeting. 6th to 8th November 2017 at Yarnfield Park Training & Conference Centre, Stone. 9th & 10th November 2017 at Yarnfield Park Training & Conference Centre, Stone. The course covers all aspects of immediate care with the emphasis on practical skills as well as formal lectures and training scenarios. The first three days comprise the PhEC course and for RCSEd. Successful candidates certification is awarded by the Royal College of Surgeons of Edinburgh. 6th to 10th November 2017 at Yarnfield Park Training & Conference Centre, Stone.